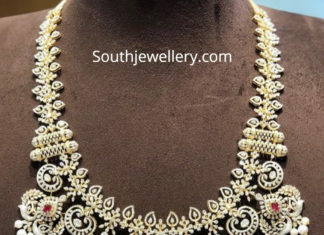 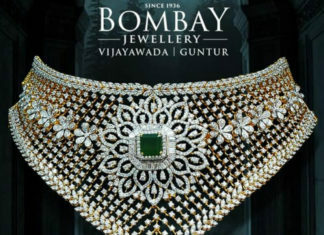 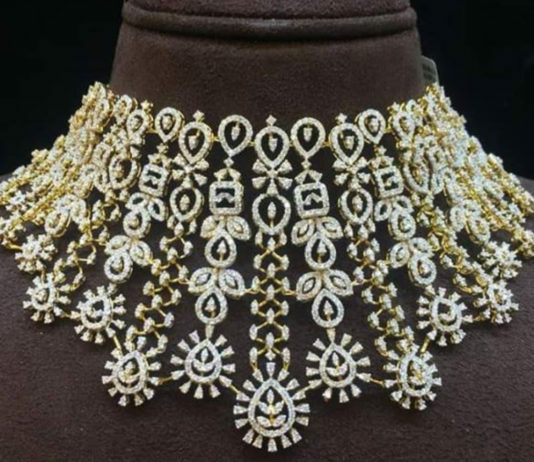 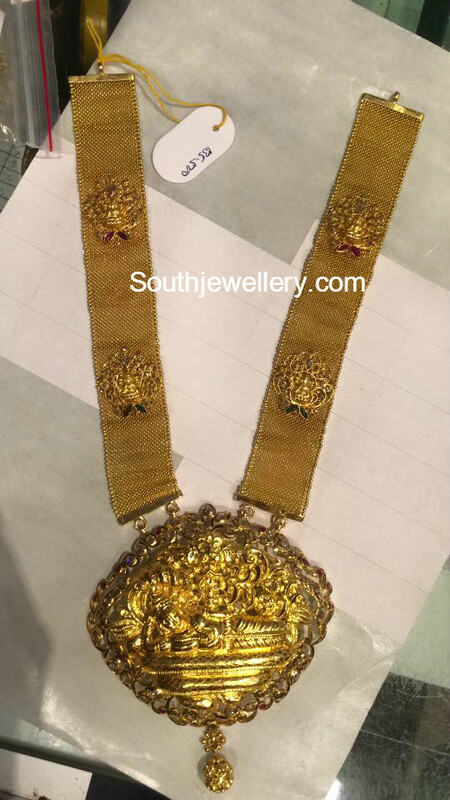 18 carat gold floral diamond emerald choker by Bombay jewellery. 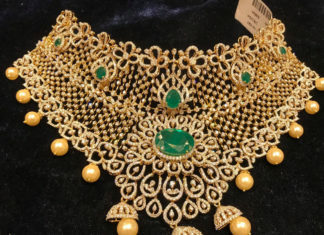 18 carat gold choker adorned with diamonds, emeralds and pearls by Premraj Shantilal jewellers. 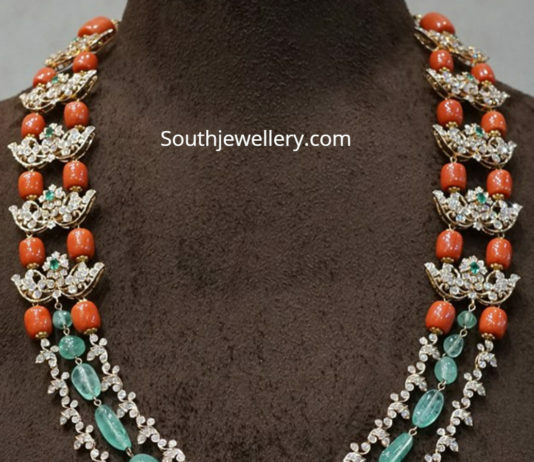 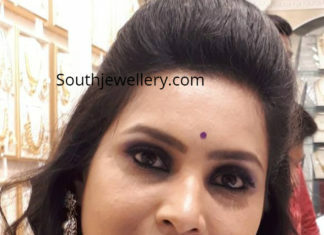 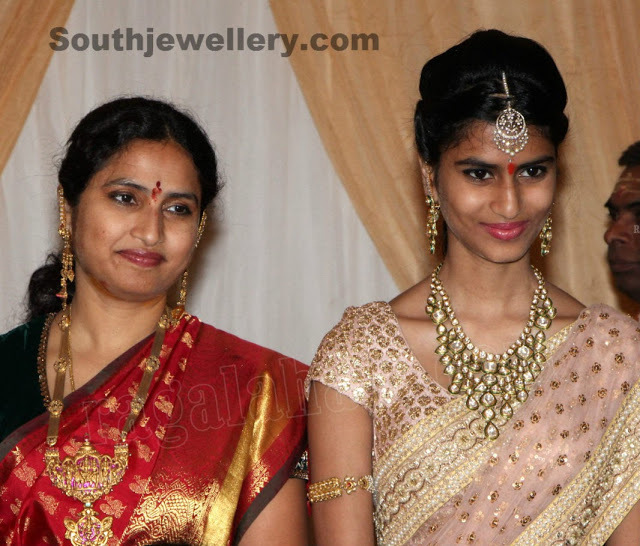 18 carat gold diamond emerald necklace paired with matching ring, diamond earrings and bangles by Parnicaa Jewellery. 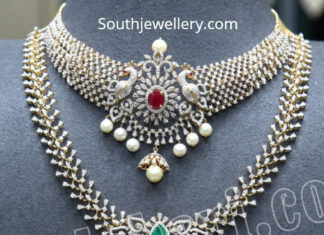 18 carat gold diamond necklace with peacock pendant and diamond emerald haram by Malabar Gold and Diamonds.